Tucked away at the end of Kenaf Road just west of Raymondville is a small farm that has commercially produced a little-known tropical delicacy for seven years. Pitaya, more commonly known as dragon fruit, is a reddish oval-shaped fruit grows from the arms of a plant of the cactus family. Largely unfamiliar to Rio Grande Valley residents, this new crop has yet to be a common ingredient in a fruit bowl or pitcher of juice like many of its tropical counterparts. 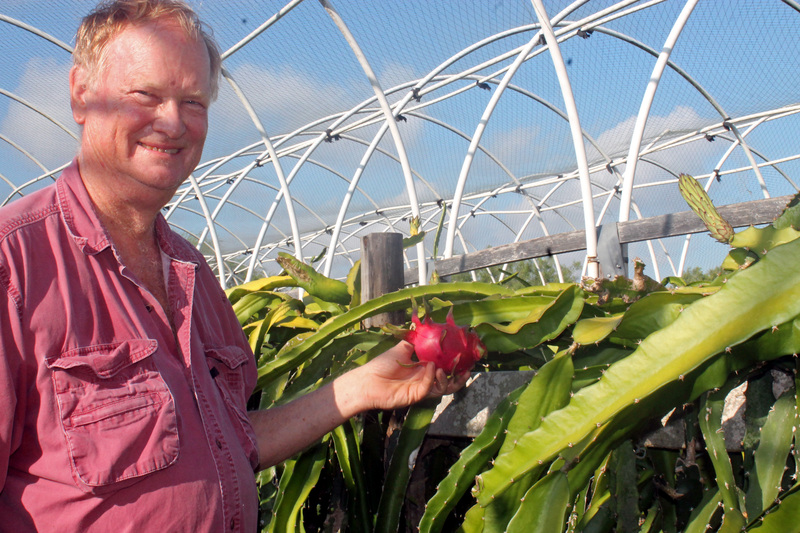 Chuck Taylor, an Oklahoma native holds a doctorate in what he calls barnyard economics, is behind the small enterprise, Pitaya Farms of Texas, which he started on less than one-tenth of an acre and has now grown to three-plus acres. 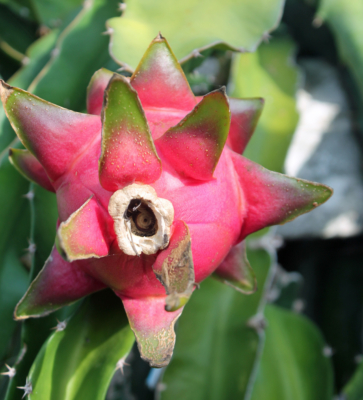 Pitaya is indigenous to Central and South America but is now grown all over the world. Missionaries introduced the fruit to Asia where it was given the popular dragon fruit moniker. Its taste is described as having a sweet taste much like an earthy watermelon, with a seedy flesh that gives it the consistency of a kiwi. Taylor’s tiny pitaya vineyard, planted in rows similar to a grape vineyard, has produced thousands of the fruits sold in farmer’s markets or to people who know how and when to get to the farm. Taylor also makes calls to some of his faithful clientele to deliver small bags of pitayas. 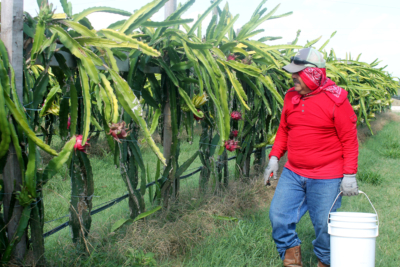 Chinling Wong, a Taiwanese immigrant who works with Taylor, said growing pitayas requires a lot of work and vigilance because no pesticides are used on the organically-grown product so it is susceptible to worm infestation and other sweet-loving critters. Raccoons, badgers, and other animals seem to have an appetite for the fruit, too. The weather is another factor. Taylor said two days of what he described as “global cooling” nearly wiped out 70 percent of the crop in 2016. Taylor has been trying to get supermarkets interested in his crop and, so far, he said Kroger has shown interest. But to gain access into large food retailers there is the issue of mass production, something he has not yet achieved in seven years of growing and selling pitayas. 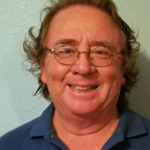 Taylor said he will continue growing pitayas as long as he has consumers who want to enjoy the fruit that is also known for its healthful benefits. Dragon fruit contains several vitamins, including B2, B3, thiamine and riboflavin. It is rich in antioxidants and said to be excellent for a person’s skin. Taylor’s vineyards produce the fruit from June through late November or early December. Waves of pitayas are handpicked as soon as they reach maturity. A pitaya can be used to make juice, ice cream and smoothies, or can be eaten like any other fruit.